We are excited to announce our new partnership with the Vermont based organization Borue. Borue is an initiative led by students from the University of Vermont. Borue’s mission is simple, sell shirts and donate all funds to charity. Since Watsi’s mission is also simple, 100% of every donation funds medical care with complete transparency, the partnership made clear sense. 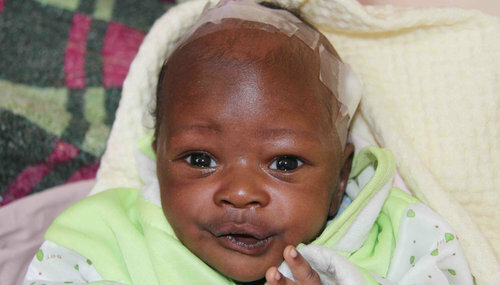 Borue shirt sales have already funded successful treatments for Watsi patients like Joseph, a newborn baby boy from Kenya who no longer has to live with the developmental congenital disorder spina bifida thanks to their support. Head over to Borue.org to buy a tee that will fund a patient on Watsi!